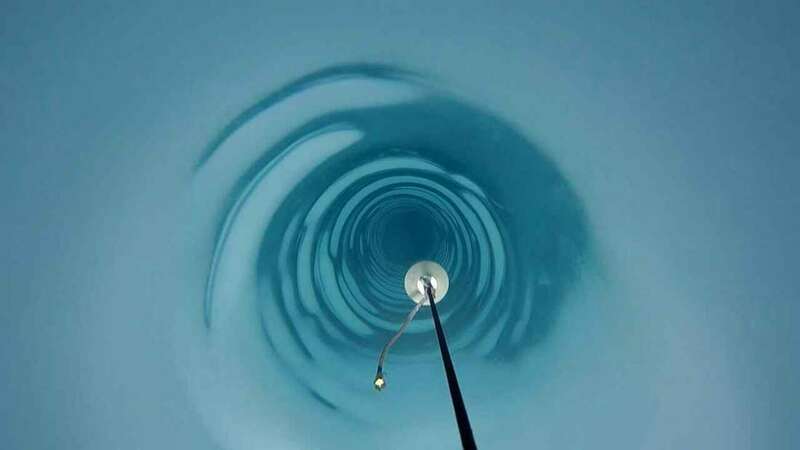 Scientists working for the British Antarctic Survey (BAS) have succeeded in drilling a 2-kilometer (1.2 miles) hole in the West Antarctic Ice Sheet, cutting through to its base. That, for the record, is deeper than any previous attempt to carve a hole in West Antarctic using a hot-water drill. The purpose of this epic endeavor is to drag up sediment from the ice sheet’s base – sediment the scientists hope will help them find out quite how quickly climate change is causing Antarctic ice to melt. “The Antarctic and Greenland ice sheets play a major role in controlling Earth’s sea level and climate, but our understanding of their history and motion is poor,” BAS explain on their website. According to BAS, the biggest uncertainty we currently face when it comes to predicting sea level rise are ice sheets like the West Antarctic, which have the capacity to set off irreversible sea level rise that could persist for decades, if not centuries. Worryingly, ice melt seems to be occurring at a faster rate than many glacial experts had expected. And, hopefully, that is something the project, called BEAMISH (Bed Access, Monitoring and Ice Sheet History), will help to correct by bettering our understanding. The location is the Rutford Ice Stream, a large and fast-flowing glacier that drains into the Weddell Sea. BAS describes the Rutford Ice Stream as a “typical” Antarctic outlet glacier. It is almost 300 kilometers (186 miles) long, and varies between 20 to 30 kilometers (12 to 18 miles) in width. To get to the bottom of this 2-kilometer deep ice sheet, the team funneled hot water through a high-pressure hose to bore their way through the ice. After 63 hours of constant drilling, the team completed their mission on January 8, 2019. Holes made with different techniques and equipment (for example, corers) have made it further but this is the very deepest that’s so far been achieved using this method. Previous attempts have been made and all proved unsuccessful. “I have waited for this moment for a long time and am delighted that we’ve finally achieved our goal,” team leader Andy Smith, head of the Ice Sheet Stability Programme, said in a statement. But it doesn’t stop there. A second hole has now been completed next to the first and another two are to come. The idea is to drill four in total, two in two sites to examine different sediment types and the max number of instruments to be used, team member Keith Makinson told the BBC.